Not only are they tasty and beautiful they also look and taste like the Napoleon Cake though they are much easier to make and not very tim consuming. Enjoy. 1.) Make small circles using your decorating tip. Bake them on a cookie sheet for 25 minutes on 350F. Also bake your left over pieces of dough. 2.) Using a rolling pin crush your left overs into small crumbs. 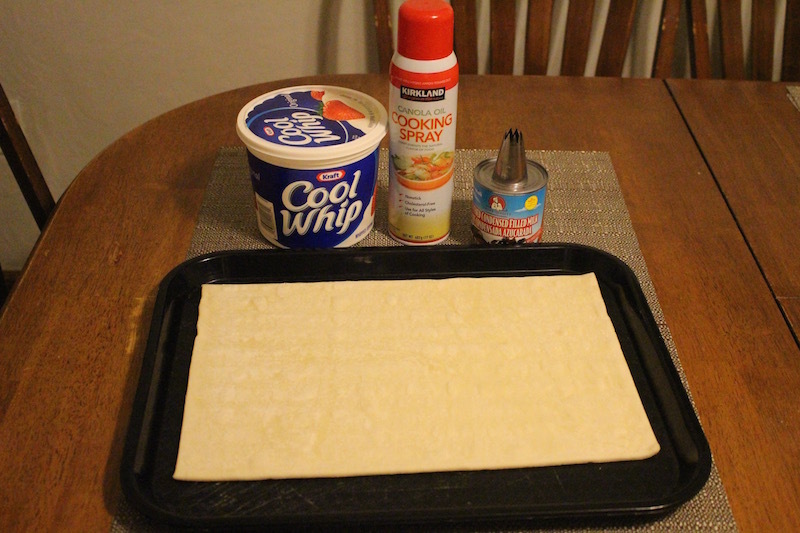 Roll each circle in your cool whip and then coat it with your crumbs on all sides. 3.) Place on a servering dish and enjoy. Make small circles using your decorating tip. Bake them on a cookie sheet for 25 minutes on 350F. Also bake your left over pieces of dough. Using a rolling pin crush your left overs into small crumbs. 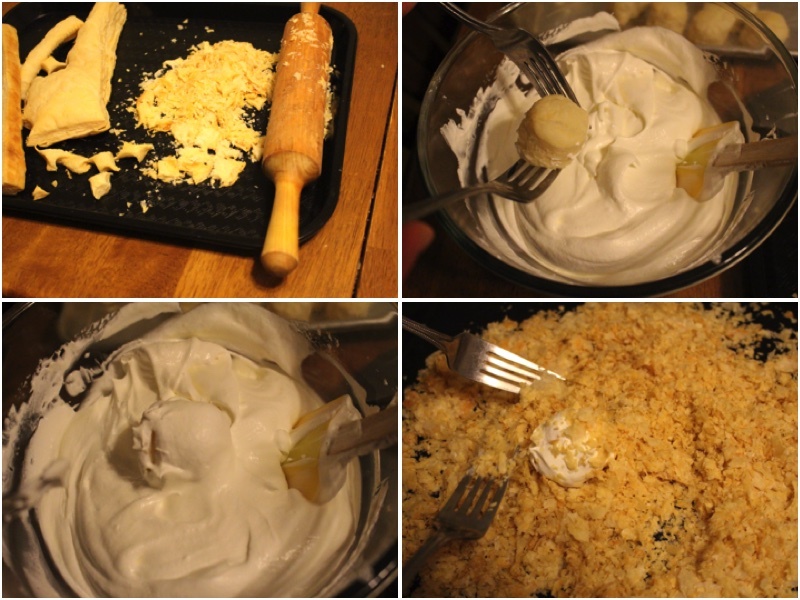 Roll each circle in your cool whip and then coat it with your crumbs on all sides. Place on a servering dish and enjoy. How many days can this be made in advance? I always have them fresh because my kids eat them within a day or two. 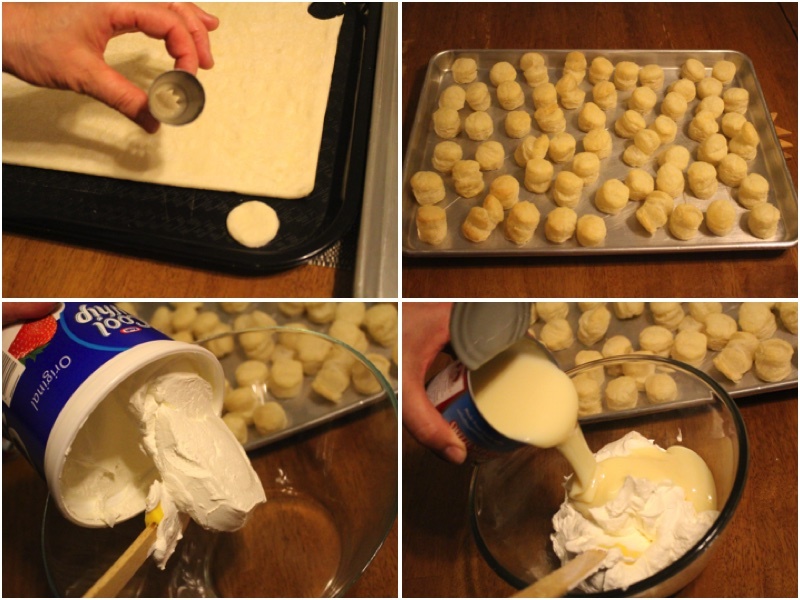 You can make them in advance and keep in a refrigerator unto 3-4 days. 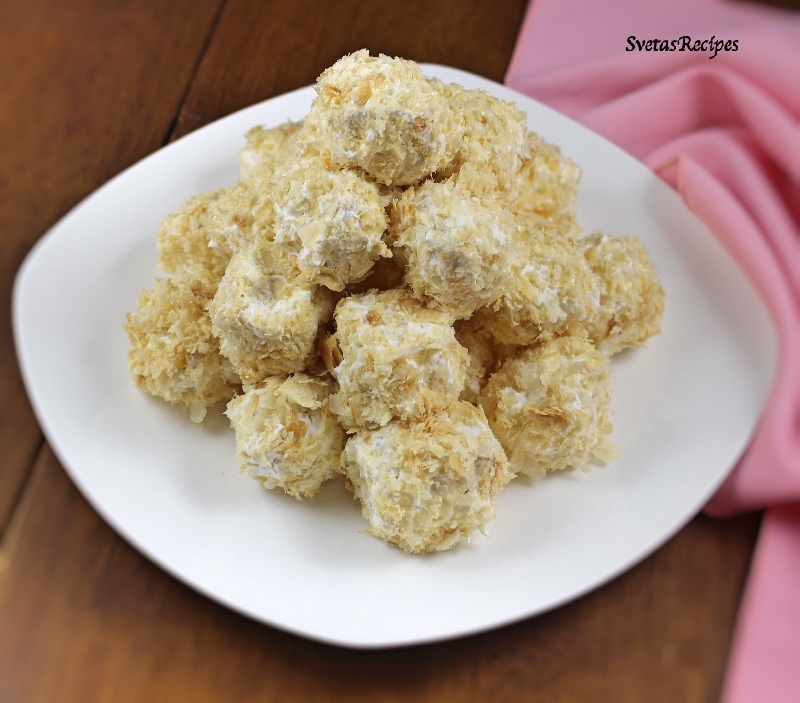 I have been looking for an easy version of the Napoleon cake for a long time and these bite-sized truffles are hands down the best alternative! Simple and quick recipe that is a go-to favorite in my kitchen now.